In 1972 Lawrence Ryan bought 33 acres of an orchard at the base of Mt. Hood in the fertile Hood River Valley. Lawrence and Hortensia Ryan raised their children while working the orchard and selling fresh produce. When Lawrence passed away Hortensia was left a lone to provide for her family, so she decided to create a family cider with little more than a borrowed cider press and her faith in God. Hortensia was later killed in a car crash while delivering juice to a customer. The Ryan children were orphaned and it was their son David who set out to support the Ryan family by selling fresh produce and cider. David credits his parents for their work ethic and passion for the beginning of what is now known as Hood River Juice Company. 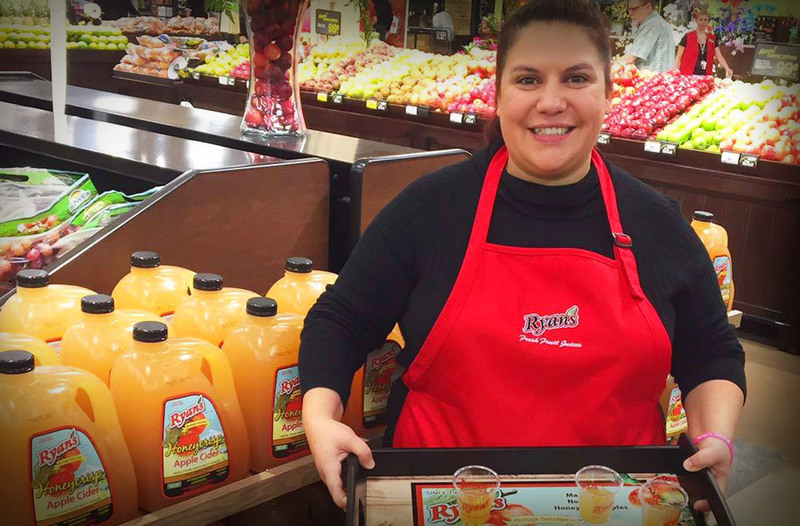 Today, Ryan’s Fresh Fruit Juices have a variety of delicious cider and juice flavors that we look forward to providing every year. Learn how to make delicious Caramel Sauce using Ryan’s Fresh Fruit Juices apple cider.